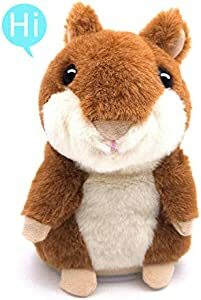 Amazon Giveaway: Talking Hamster, Repeats What You Say Plush Animal Toy Electronic Hamster Mouse for Boys, Girls & Baby Gift . Talking Hamster, Repeats What You Say Plush Animal Toy Electronic Hamster Mouse for Boys, Girls & Baby Gift . Ends 11/30 at 11:59 PM PST or when all prizes have been awarded.